Today we’re talking about enfrijoladas. Imagine a nice, delicious plate of enchiladas. But instead if that spicy sauce they’re usually slathered in, garlicky black beans take center stage. That’s right. 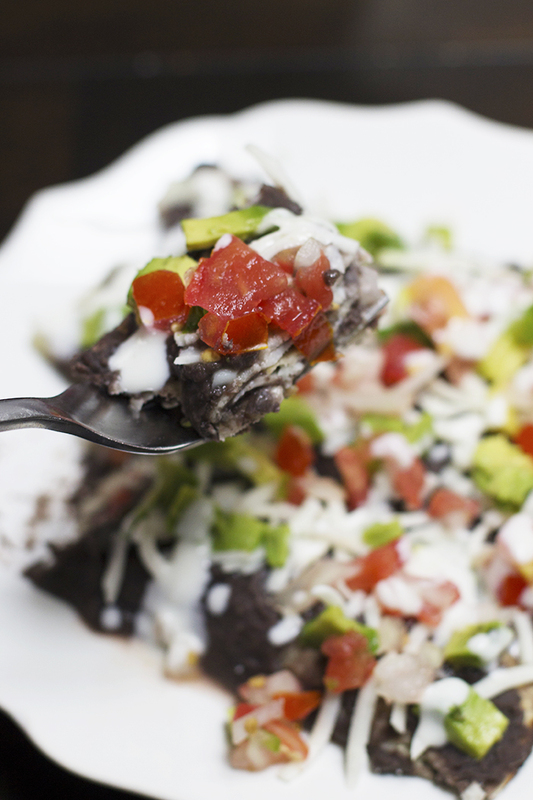 Instead of your typical cheesy and spicy Mexican meal, you’re in for beans and cheese. The beauty of it all is that whatever your dietary preference this is the meal for you. I know because I’ve tried and tested a few methods. So although this recipe is corn and dairy free, modify it to your needs. Here are some options that have worked for me in order of healthiest to least and most difficult to fry to least difficult. Hey, you can’t have it all, right? 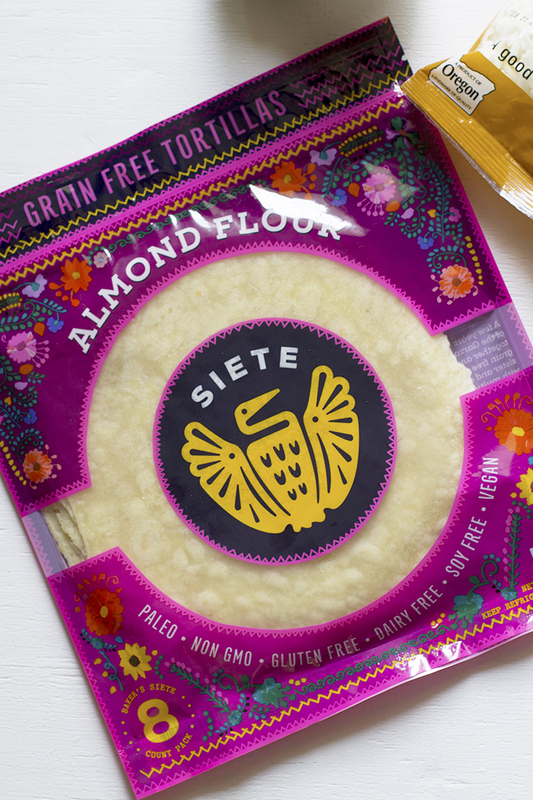 In the recipe below, I use Siete almond flour tortillas. It was an experiment that didn’t turn out as beautifully as the corn tortillas do. I attribute this to the heat of the oil and how it changes the consistency of the tortilla. 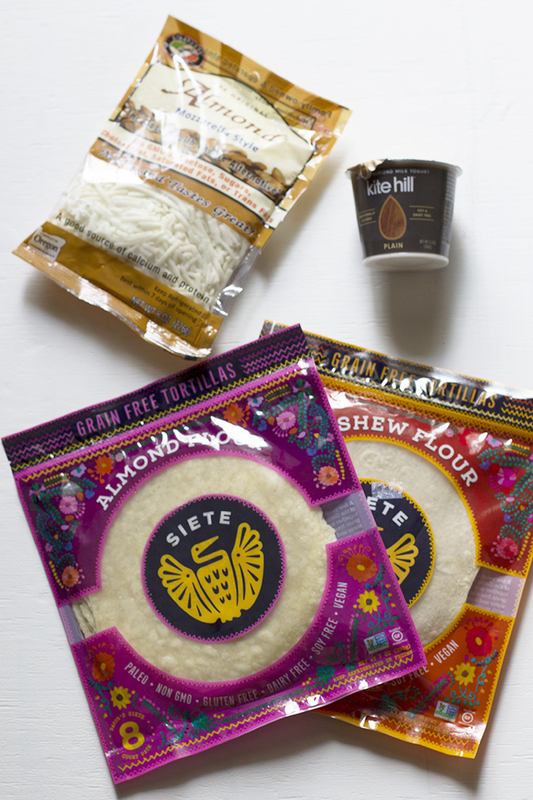 Since the almond flour tortillas are a bit thinner than the others, they can be more frustrating to deal with. You’ll want to fry them a limited amount of time to avoid getting them too toasted..unless that’s your style? Now let’s move on to some tortilla frying tips. You see, you’ll want to be sure you’re frying them in very hot oil – but not too hot. This is the part where I wish I had a temperature to give you, but we don’t do that in my family. What I can say is that if you’re using a stainless steel frying pan, you’ll want to heat the pan first, then add the oil. The pan is ready for the oil when you add droplets of water and they dance around the pan easily. Once you add the oil, you’ll want to wait about 2-3 minutes before it’s ready for the tortillas. 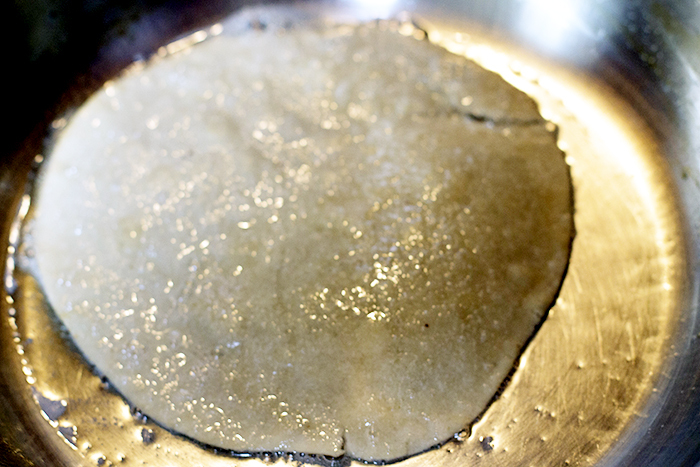 To test whether the oil is ready, you can gently dip a tortilla into the oil. 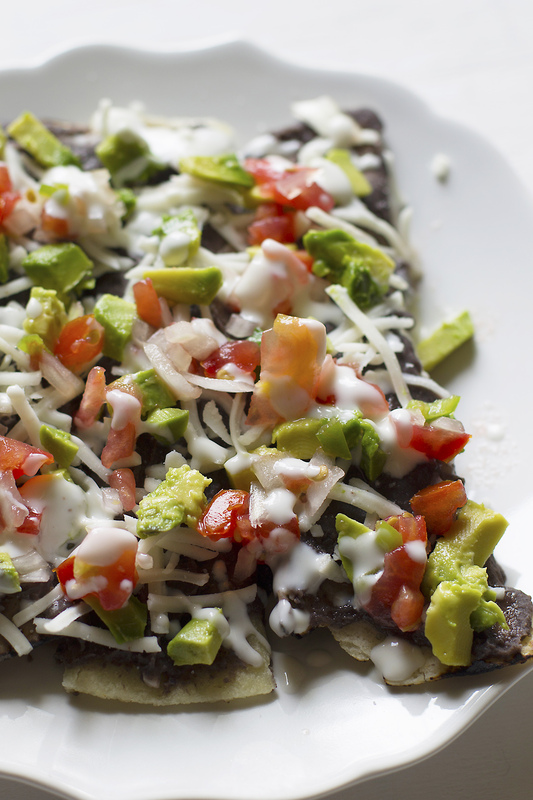 If the tortilla sizzles quickly, it’s ready. If you’re not overwhelmed by the crazy amount of information here, congrats! If you are, stick with me. You’re in for a fabulous enfrijolada-loving ride. And it’s worth every (potentially) poorly fried tortilla. Imagine a nice, delicious plate of enchiladas. 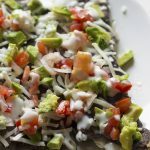 Instead if that spicy sauce they’re usually slathered in, garlicky black beans take center stage. You’ll need to start this recipe one evening before bed. If you have a crockpot that’s even better. Put uncooked beans, filtered water, 3/4 head of garlic, and sea salt in pot. Crockpot: cook on low for 8-10 hours. Stovetop: cook to boil on high for 10 minutes; reduce heat to low for 2 hours; Cook longer if needed. Once you’re ready to make the enfrijoladas, you’ll want to cook the remaining garlic cloves (minced) in oil. Add oil and garlic to beans. With a hand immersion blender, blend until liquified. Add about 1/2 inch worth of oil to a pan. Heat up pan on medium to low. After about 3 minutes, test the edge of a tortilla. If it sizzles, the pan is ready to fry! Add tortilla to pan. Let cook on one side for 30 seconds to 1 minute. Flip tortilla with a fork. Once cooked on both sides, put tortilla on plate with paper towel on top (to soak up excess oil. Stack up fried tortillas on top of one another. Arrange your area so you have the plate of tortillas first (from left to right), next the pot with beans inside, and last another plate with nothing on it. 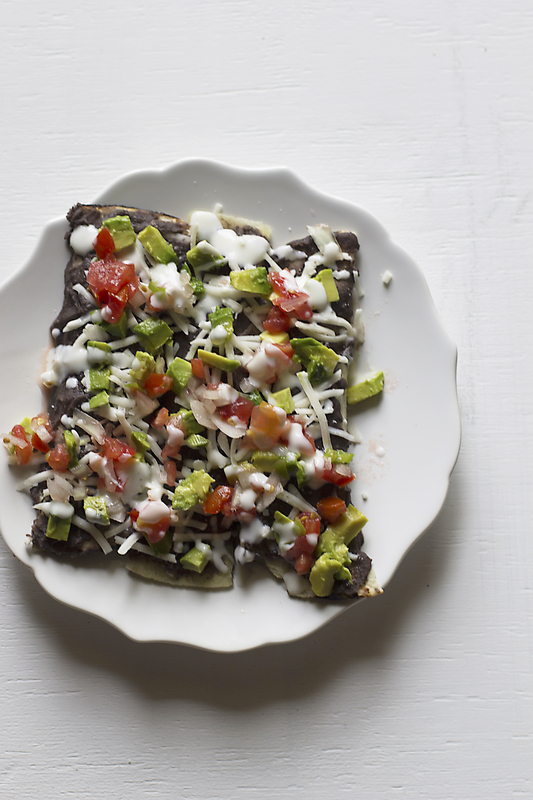 Dip each tortilla in beans quickly. Make sure to get both sides. It’s okay if where you’re grabbing the tortilla from doesn’t get any beans on it. That’ll be your starting point when you roll them up. Lay the bean-dipped tortilla on empty plate. Add cheese to one side and roll it up. Repeat and line up enfrijoladas on another plate (yes, I know, I used a lot of plates in this recipe). Top with pico de gallo, sour cream, and sliced avocado. Vegan Sour Cream: Combine 2 small (5.3 oz) Kite Hill plain yogurt containers with 2 tbsp almond milk and 1 tsp sea salt (or to taste). Pico de Gallo: Chop up 1/2 large onion, 1 serrano or jalapeno pepper, 2 tsp cilantro, 1 medium tomato. Combine in a bowl with 1/2 tsp sea salt (or to taste).